Anyway, the GTX 1060, despite being a geriatric GPU now, has still been one of our favourite mainstream cards even this long down the line. But with AMD’s RX 580 just outperforming it overall – most especially on price – and the newer RX 590 improving on that lead, it’s become an increasingly tough card to recommend. 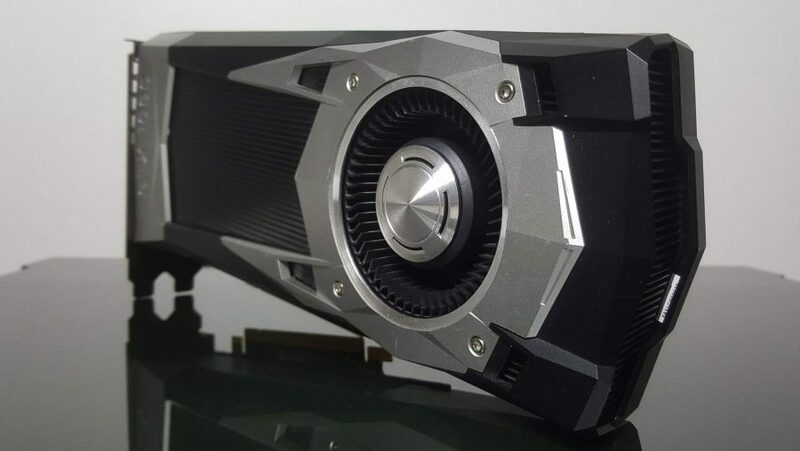 And now that the GTX 1660 Ti has arrived, utterly replacing it with GTX 1070-level performance, you would have to be a special kind of consumer to buy one new. 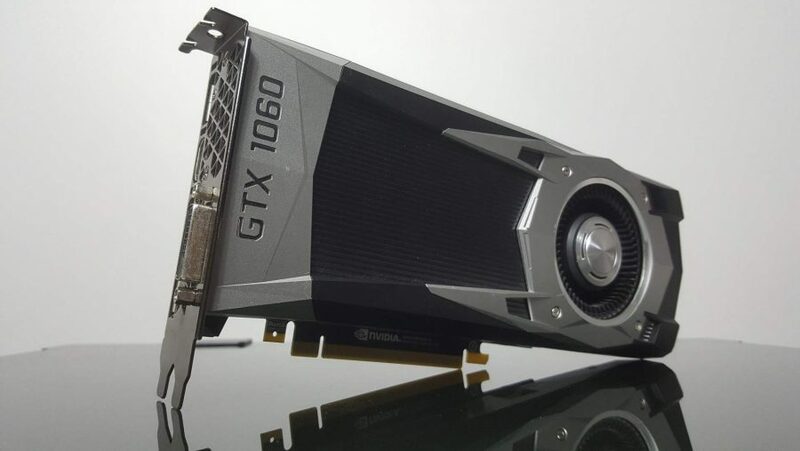 The Nvidia GTX 1060 was the first mainstream Pascal-powered card to come out of the GeForce stable, and featured a different GPU to the GTX 1080 and 1070, though still sported all the architectural goodness which made those cards such desirable pixel pushers. Nvidia delivered gaming performance on par with last generation’s GTX 980 and, arriving at a $249 (£239) price point, the GTX 1060 was almost the mainstream card of our dreams. But it’s been going toe-to-toe with AMD’s top Polaris cards over the last couple of years, and the Radeon team might have delivered the final knock-out blow with the RX 590 and RX 580 price cuts even if Nvidia hadn’t finally put it out to pasture with the release of the 16-series cards. 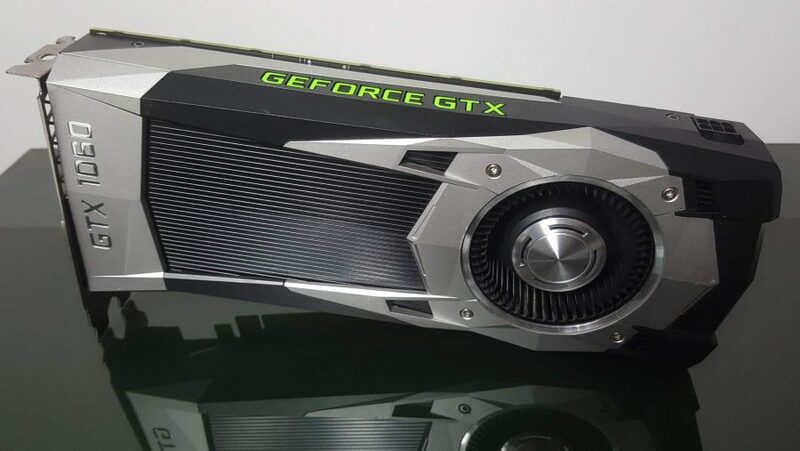 Don’t get us wrong, the GTX 1060 is still a fantastic little graphics card, so don’t think it’s necessarily time for an upgrade if you’re still sitting on one of the most effective, and most-popular, Pascal-based cards Nvidia released. 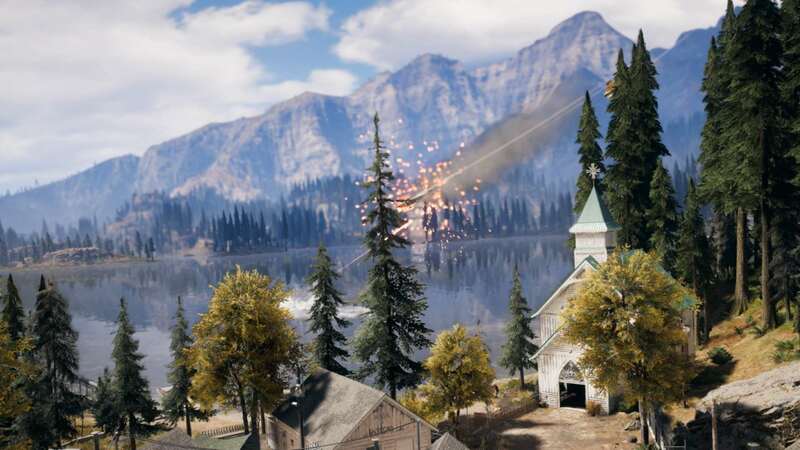 It’s just that the AMD Polaris design, as well as the broader memory bus and VRAM pool, means the RX 580 and RX 590 are better suited to the rigours of both modern APIs and higher resolution PC gaming. The Nvidia GTX 1060 was the GeForce response to the Polaris mainstream assault, aiming to make trouble for the AMD RX 480, and subsequently RX 580, by clawing back the mainstream audience using the twin pillars of higher performance and lower power. The headline specs sees the GP106 GPU in the GTX 1060 delivering half the CUDA cores of the GTX 1080 on the same 16nm FinFET production process, with all the performance and efficiency enhancements that lithography offers. And that extra efficiency means this speedy little graphics card is still capable of producing the gaming goods with a TDP of just 120W. This top GTX 1060 release sports a healthy 6GB of GDDR5 memory, running at 8,000MHz. 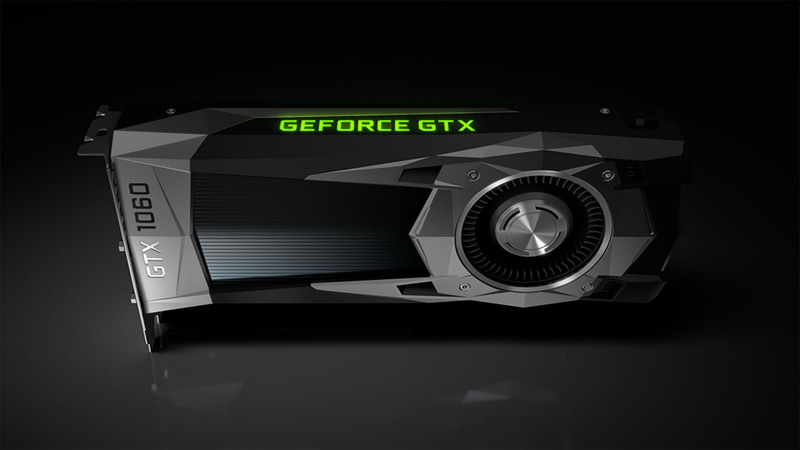 Nvidia has also released a 3GB version of the GTX 1060 which provides a decent level of gaming performance, but lacks its big brother’s chops at higher resolutions. There have been other variants released over the years, notably a GP104-based version with GDDR5X is now being touted. Though it’s cobbled together from left-over parts meant for GTX 1080 cards that are no longer needed, and performance is suggested to be lower than the stock cards too. In terms of the 6GB pricing you can pick one up for as little as $250 (£220), though that does put it more expensive than the RX 580 in 8GB trim. We have also tested the seriously overclocked, and overclockable, MSI GTX 1060 Gaming X 6G. It’s a great platform for the overclockers looking to push their GPU further, but is rather pricey compared with the stock-clocked cards. MSI extended the PCB to allow for extra cooling and space for improved power components, but there are also mini-ITX versions of the card too as the reference PCB is shorter even than that of the RX 480. Zotac also has a micro version which should be the darling of the small form factor crowd as it’s also one of the cheapest versions of the full 6GB card that you can buy. When you’re looking at legacy, DirectX 11 gaming performance the GTX 1060 still has the legs to give AMD’s RX 580, and even the new RX 590, a bloody nose. It’s often a few fps on average ahead of the Radeon crew, so if you pick your battles things still look great for Nvidia’s mainstream maestro. But when it comes to modern APIs, such as DirectX 12 or the criminally underused Vulkan APIs, then the Radeon GPUs pull ahead. It’s the same story when you look at gaming using higher resolutions too. The expanded video system of the Polaris-based cards just gives them the edge when there are more pixels to push around and larger textures to paint. Yet while it does often lose out to the RX 580 and RX 590 cards, it’s still a mighty impressive card when it comes to 1440p gaming performance. That used to be the sole domain of $400 GPUs, but the GTX 1060 still has a lot to offer even here. It’s a shame Nvidia chose to limit the GTX 1060 and not allow SLI configurations, something it has now extended up the stack to the RTX 2070, as picking up a second GPU this far down the line would give existing GTX 1060 owners a seriously powerful package. Where there is a big disparity though is in the energy efficiency of the two GPU architectures. The Nvidia chip draws much less juice than the AMD cards, most especially if you look at the performance of a heavily overclocked RX 580. At full speed the GTX 1060 is almost 100W lighter at the plug than the STRIX version of Asus’ RX 580 card. The Nvidia GTX 1060 is still a great graphics card, and if it was closer to the price of the RX 580 it would be much harder to call a winner. They almost trade blows in the gaming benchmark stakes so it would be a tie if they were priced at the same level. As it is the AMD card is considerably cheaper, and a better bet for mainstream PC gaming going forward too. But if you’re looking to build a quiet, efficient, small form factor machine then AMD’s big, brash GPU isn’t going to help. The efficient, cool-running mainstream Pascal was a fantastic choice for a mini-gaming PC that you didn’t want melting a hole in your living room carpet or burning a through your desk. Nvidia has finally called time on the Pascal generation though, and the GTX 1660 Ti, with its GTX 1070-level gaming performance, is the final nail in the coffin. It offers everything the GTX 1060 did, but in a better overall package with a similar price point. There’s still a place for one of the best Pascal GPUs ever made, but AMD has been making it harder and harder to recommend. And now the GTX 1660 Ti has arrived it’s impossible to recommend as a new purchase. AMD's RX 580 has been giving the best Pascal card a real headache recently, but now Nvidia has effectively retired the GTX 1060 with the release of the superior GTX 1660 Ti.